At the 2014 EBACE show Pilatus opened the order book for the PC-24 “super versatile jet,” and in just 36 hours had notched up 84 orders. A year later and the company is now focused on getting the aircraft cleared for service, a process that began eight days ago with the first flight. Even as the EBACE opening ceremony got under way yesterday morning, the first PC-24 was undertaking its fifth test flight. The aircraft, registered HB-VXA and known to the company as P01, has now chalked up 7.7 hours in the air as part of what is planned as a 2,300-hour trials campaign. Pilatus initiated the PC-24 program in 2007. “After eight years wait it was very exciting to see it fly,” Pilatus chairman Oscar J. Schwenk reported to AIN. The company is building two further prototypes to assist with the test and certification. While P01 is undertaking initial envelope expansion tests, P02 is being prepared for a first flight around the end of October. This machine is expected to spend much of the campaign with Honeywell in the U.S., trialling the avionics and autopilot systems. P03 is the third test airframe, and will be completed to production-representative standards, with a full cabin. It will be the compliance item for certification, and will also be used for customer demonstrations, which are scheduled to start at the end of 2016. Under current planning Pilatus expects to fly P03 in the middle of next year, although Schwenk noted that its completion may be delayed to incorporate improvements that may arise from the tests with P01 and P02. Part of the campaign involves hot- and cold-weather trials, the former likely to be undertaken in southern Spain. Icing trials are perhaps the most difficult to plan. Tests can be performed using molded foam to simulate icing, but certification requires demonstration in real heavy icing conditions. The test crew cannot predict where and when they will occur, so this inevitably involves some waiting around and rapid deployments to find the right conditions. Rough-field testing will start in early 2017 as one of the last elements to be cleared. Certification is planned for mid-2017, with initial deliveries commencing a month after. Serial production will commence at least 10 months prior to that, initially with a 10-aircraft pre-production batch. Production will ramp up with increasing batch sizes, and Pilatus has a maximum capability of producing 50 aircraft per year. 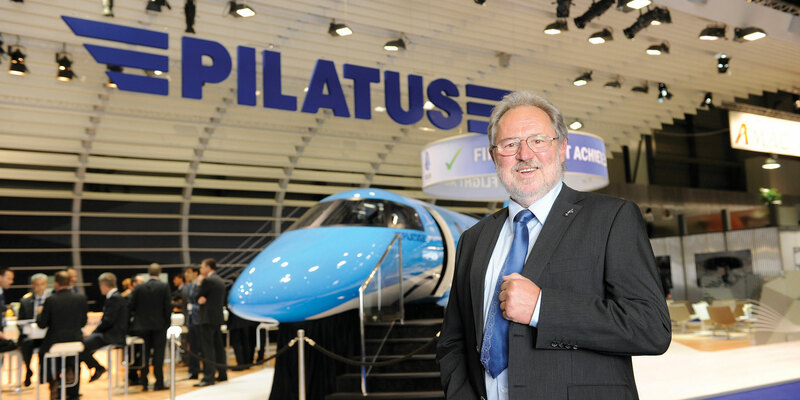 Pilatus is aiming to complete all 84 current firm orders by the end of 2019. For now the orderbook is temporarily closed so that Pilatus can concentrate on the flight tests and finalizing production details to fulfill the initial batch of orders. Schwenk expects Pilatus to be in a position to begin accepting new orders in around a year’s time.